The Pocket Book of Patriotism proved that George Courtauld had a real gift for making history simple. The Pocket Book of Patriotism proved that George Courtauld had a real gift for making history simple. The book became a word-of-mouth bestseller which dominated bookseller lists for many weeks. Now in this book he brings his talents to bear on great British figures. From King Arthur and The Venerable Bede, Isambard Kingdom Brunel and Oliver Cromwell, to St Patrick and William Wilberforce, here are 100 patriots of whom, in the author's view, we should be unashamedly proud. Presenting these beacon figures in the form of CVs, the author (himself a headhunter) casts their careers in a new light, highlighting key historical events, milestones in their careers, all reinforced by quotes from the figures themselves, capped by their personal hobbies and interests. Alongside the familiar names like William Caxton, Nelson and Elizabeth I, come those which are perhaps less familiar but no less important - Edward Longshanks, the Hammer of the Scots, and Warwick the Kingmaker; Pelagius and Dr Harvey. The result is a fascinating slice of history which brings key British figures to life in a simple and most accessible way. 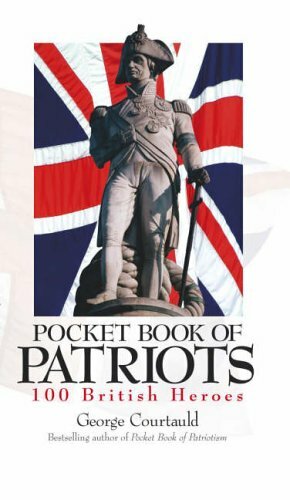 Anyone who enjoyed The Pocket Book of Patriotism will savour this book.